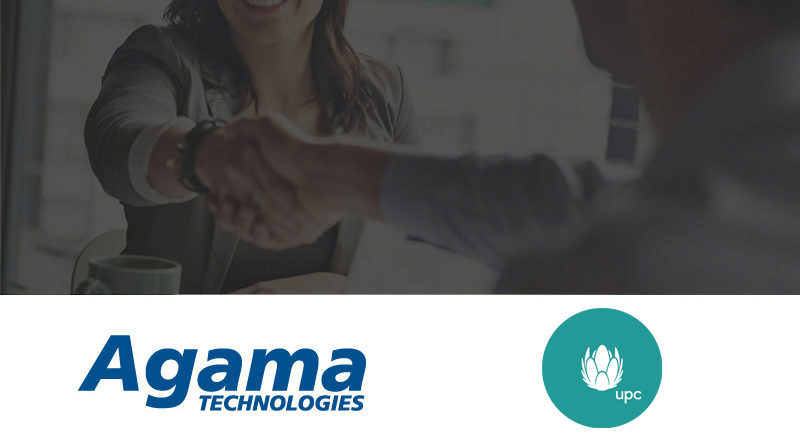 (Linköping, Sweden, June 5, 2018) – Agama Technologies, the specialist in video service quality and customer experience, today announced that Hungarian operator UPC has selected to implement Agama’s video assurance platform to ensure top quality of its video services. UPC Hungary, as a leading integrated info-communications operator, is providing top quality services to 1.8 million of households in Hungary in nearly 350 settlements for more than 855.000 residential and business customers. By implementing the Agama video assurance platform in its head-end and network, UPC achieves full operational transparency in real-time. With the right information and insights at their fingertips on service performance in multiple stages of the delivery network, UPC operations teams can manage, deploy and innovate in an agile manner while staying in full control. “By choosing Agama’s modern, software-based solution, we are able to get great support for both automated monitoring as well as visual inspection. We now have a real-time view of the delivery chain with key metrics directly available for our services, from the head-end and through the network”, Tibor Szabadszallasi, Video Manager at UPC says. “As a long-time Agama partner, we are thrilled to support the deployment of the Agama solution at UPC Hungary”, Tibor Temesi at Silicon Computers comments. UPC is the leading integrated ICT service provider in Hungary. The company has been supplying its innovative services to the market since 1998. It provides television, broadband internet and landline telephone services in nearly 350 settlements nationwide on its cable networks. In 2015, the company launched its mobile service with a totally new approach in the domestic telecommunications sector, being the first to offer unlimited data packages with no fixed terms and network-independent devices. Through its innovative applications and services UPC offers access to the unlimited opportunities of the digital world inside and outside homes and offices. UPC Corporate Services division provides enterprises with customized and competitively priced business communications solutions. Agama Technologies specializes in empowering video operators’ business processes with awareness that can drastically lower operational costs and improve customer satisfaction. With extensive experience and an industry-leading solution for monitoring, assurance and analytics of video service quality and customer experience, Agama helps operators to implement a data-driven way of working to assure optimal service quality, improve operational efficiency and increase customer understanding. The company is based in Linköping, Sweden, and is privately held. Let’s meet at AngaCom, June 4-6! If you are a member of the media and would like further information, arrange an interview, or just want a contact to discuss customer experience and video service quality in the video delivery landscape, please feel free to contact us for further support. We help operators to implement a data-driven way of working to assure optimal service quality, improve operational efficiency and increase customer understanding. Subscribe to our newsletter and get the latest news and updates on our solutions and products.